Trish Summerville is at the top of her game with a list of credits to her name that reads like a veritable who’s who of Hollywood. Her latest work on the blockbuster movie The Girl with the Dragon Tattoo and following collaboration with retail behemoth H&M have inspired a generation wanting to emulate the tough-as-nails aesthetic of lead character Lisbeth Salander. Trish took time from her busy schedule to speak to me and Emily Sandberg about her life and work. 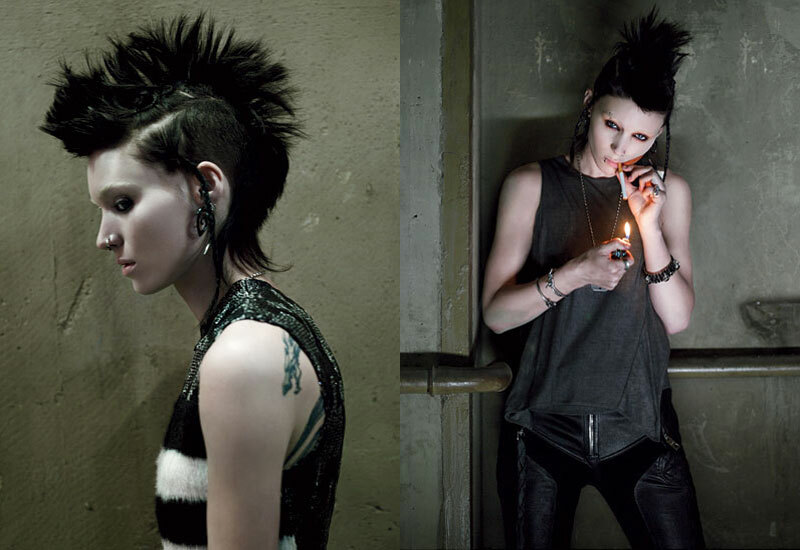 Can you talk about the process of sourcing inspiration and the references you used when styling for The Girl with the Dragon Tattoo? When I began making vibe and inspiration boards for The Girl with the Dragon Tattoo, I sourced everything related to European and American culture with a specific focus on Swedish culture. I referenced Söder kids for clothing, style, hair and makeup. I also sourced inspiration from squat house youth, 80’s under ground punk females, street kids, oil spills, cracked asphalt and insects for color and texture. Stylists are increasingly becoming household names. How critical do you feel a stylists’ work is in making someone a star in Hollywood today? On a feature film, dealing with costumes for characters, you are a Costume Designer. The term stylist pertains more to the red carpet, commercials and videos. I feel fortunate when I have the opportunity to work with talented actors. I feel that it’s the actor’s talent and persona that make them a Hollywood star and we are here to assist them with cultivating their style and helping them successfully create different characters for each role they choose to portray. How did your collaboration with H&M happen and are there plans to collaborate with them in the future? Sony and H&M approached David Fincher and Ceán Chaffin about doing a collaboration. We all felt it was an ideal fit. H&M is a Swedish household name and the story line is set in Sweden. Also, Lisbeth Salander goes on a shopping trip to H&M in the second book of the trilogy The Girl who Played with Fire. Working with H&M was a wonderful experience; I would love to have the opportunity to work on another project with them. You have worked with David Fincher on various projects in the past. Can you describe your working relationship and why you think it works well? David is one of the most talented, intelligent and creatively collaborative people I have ever met. He is very communicative and focused making it very easy to deliver. How does styling for music videos differ from working on feature films? When working on a feature film you have much more character development and authenticity. Generally, with music videos, the talent and the label want to be very fashion conscious and cutting edge. How do you want to evolve the Trish Summerville brand? I am definitely interested in working on various projects. I’d like to do more work on feature films along with a fashion and jewelry line. Of all the various platforms you work across do you have a favorite and why? I truly enjoy all the different aspects of fashion and costuming I work in. I like to keep my work varied as it keeps it more creative and intriguing for me. Each different platform inspires and compliments the next. What traits do you think it takes to be a good stylist and make it in such a competitive industry? Always be authentic in your vision and never let your ego get in your way. Have you noticed a shift in the ratio of female to male clients you style for and if so what is noticeable about it? I truly enjoy dressing men as much as I do women. They both present their own challenges and rewards. Did you know you wanted to be a stylist when you started your career or was it an evolution? Reblogged this on Fashionrework's Blog.